Does your GDP Quality Management System identify risks to patient and product safety? Need help? Then read on. Quality risk management is a systematic process for the assessment, control, communication and review of risks to the quality of medicinal products. It can be applied both proactively and retrospectively. Quality risk management should ensure that the evaluation of the risk to quality is based on scientific knowledge, experience with the process and ultimately links to the protection of the patient. The level of effort, formality and documentation of the process should be commensurate with the level of risk. Examples of the processes and applications of quality risk management can be found in guideline Q9 of the International Conference on Harmonisation (‘ICH’). 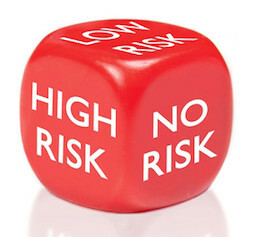 Do you identify these risks on a daily basis? Is risk management part of your daily routine? Are your GDP decisions based on risk? A question for you… would you “risk” the safety of a family member with a medicinal product that came from your premises? Ask the questions; Could it happen? Did it happen? Do you conduct GDP risk assessments? If so, when was the last GDP risk assessment carried out? Do your internal audits identify risks? Do your CAPAs or deviations identify risks, or are they merely paper exercises to satisfy the regulator or the management? Personally, do you conduct risk assessments every day? e.g. Eating or tossing some food that may have reached it’s “Best before” date? Of course you do, and you carry them out automatically. Would you leave your credit card with the pin number attached to it in your wallet? Would you buy medicines from unapproved, overseas, and potentially bogus websites? Would you buy medicines from a car boot/yard sale? Do you take part in high risk activities? Skiing, sky diving, rugby? Do you train for them? Very few people who take part in these sorts of activities have accidents, as they conduct risk assessments. Do you apply the same risk management tools to handling medicinal products? Probably not. Yet the medicines we handle are often not assessed in the same way. We tend to apply very few risk assessments to products we, or our family, consume. So… How can you start better managing your GDP risk assessments? How do you start on your risk assessment process? Risk assessment does NOT need to be a complicated process and should be appropriate to the size of your company and what activities you carry out… your pharmacy wholesale department is not a Celesio or Phoenix. So what risk assessment tools could you use? A simple spreadsheet method works for many. What other tools are useful? We like flow charts and process mapping, as well as FMEA (Failure mode Effects Analysis), but a fishbone diagram (Ishikawa diagram) can also be useful. HACCP – Hazard Analysis and Critical Control Points – is used frequently in the manufacturing industry. Through this process you establish where your CCPS (Critical control points) are, then monitor them for compliance to your regulatory requirements. From this you can identify where your hazards/risks are present and look to mitigate. When something fails you use CAPA, and generate a report on what corrective action you took to mitigate against further recurrence of deviation. By reviewing your records, and being on a process of continual improvement you will come to know your risks and how to avoid them. It isn’t possible to mitigate everything, but you need to consider this and document it to show you have at least consider risk and implications. Of course, there may be occasions where you don’t have the skills or experience to carry out risk assessments, or you may want a third party GDP audit or GDP risk assessment audit. If so, please contact us for a free, no obligation chat. 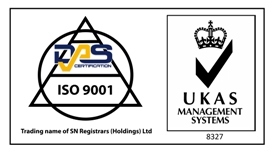 Next PostNext Bona Fides (Approval of Suppliers and Customers) Checks – how and why?